Do you plan fun activities for your first day of school? My kids get new back-to-school pj’s. We purchase our new homeschool supplies together. And we have chocolate cake for breakfast on our first day. However, we recently tried something new and different and it has quickly become one of the most important parts of our school year. 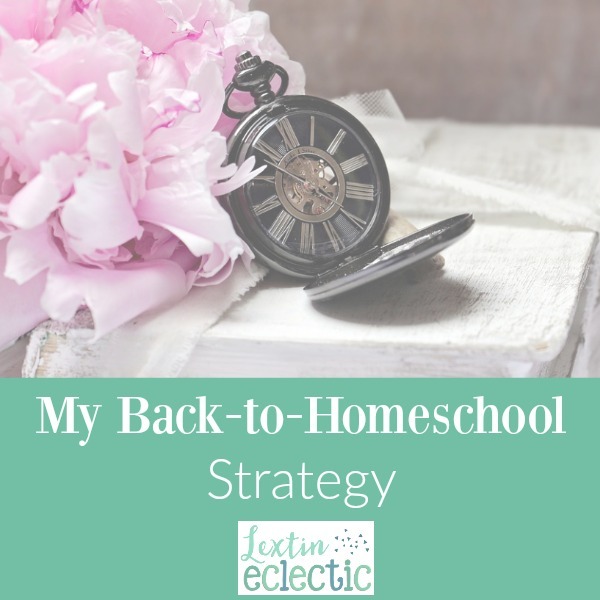 I plan a soft start to each homeschool year. It means that we start our year by slowly adding in a few subjects at a time. It takes several weeks for us to work up to our full school schedule. If you’re interested in planning a soft start to your school year, download my free workbook of planning resources. Week 1: We start with the main subjects of math and language arts. Week 2: We add in Bible, history, and science. Week 3: Foreign language studies and logic are added to our schedule. Week 4: In this week we begin all the smaller extras like our poetry time, memory work, art, and music. By the end of the month we are well under way for a new school year with all of our subjects fitting into our school day. This soft start has been wonderful for several reasons. It allows for schedule adjustments. I always over plan our homeschool year and cram my schedule too full. By starting slowly with only a few subjects I can get a more realistic idea of how long each subject will take. This allows me time to tweak and adjust our schedule during our first month as I find the best way to simplify our plans. I’ve tried starting our new school year with a packed schedule and by lunchtime we’ve all been in tears. It was too much, too soon. I’ve learned that having too many things in our day at the beginning makes us feel frustrated. By slowly adding subjects each week, we feel less frustrated with the learning curve of each subject and curriculum. It eases us into a new school year. No matter how much school we have done during the summer, it feels like it can be a challenge to get my kids into a new school routine each fall. By starting slowly, my kids are able to ease back into a school and feel comfortable with our new schedule. It allows us to feel comfortable with our new curriculum. It reduces the feeling of overwhelm. By starting off our school year more slowly, everything seems less overwhelming and more doable. My kids complain less because they feel like they can handle the workload for the year because subjects were introduced slowly. I also feel less overwhelmed when trying to teach multiple grades and multiple subjects. Our soft start has helped us find a nice balance each school year. I think it’s probably become one of our favorite back to school traditions. I find it the perfect way to ease into a new school year and establish a new schedule and routine with as little stress as possible. Have you ever tried a soft start to your school year? And if you’d like to find out more about how I plan for my year and keep my homeschool records up-to-date, be sure to read this post! If you’re in planning mode for a new school year, be sure to read all the posts in the homeschool business plan series! Thank you for this post. I get encouraged reading what other mamas do. We start our homeschooling year this week. xo. We are doing sort of a soft start to our first homeschool year. Mainly working with letters and writing and will slowly add in numbers. I’m definitely looking forward to reading more of your posts for tips. We are doing a unit study on Chocolate the last week in August with a field trip to Hershey Park in Pennsylvania as the culmination. It’s a start back to writing and reading, but fun and tasty! What a fun way to start your school year!! chocolate cake for breakfast!!! YES!! Soft start sounds like a great way to ease into a new school year!